Winter is coming to my house! Check out this 3′ x 6′ banner I designed at Esigns.com, and I must say, I had way too much fun doing it too! Originally I was going to put my blog header on the banner; however when I got into their user-friendly designer/editor, my mind was changed fast. I found a huge selection of backgrounds to chose from for an assortment of occasions. They have backgrounds for outdoor banners, personalized banners, college banners, church banners, birthday banners, and more. 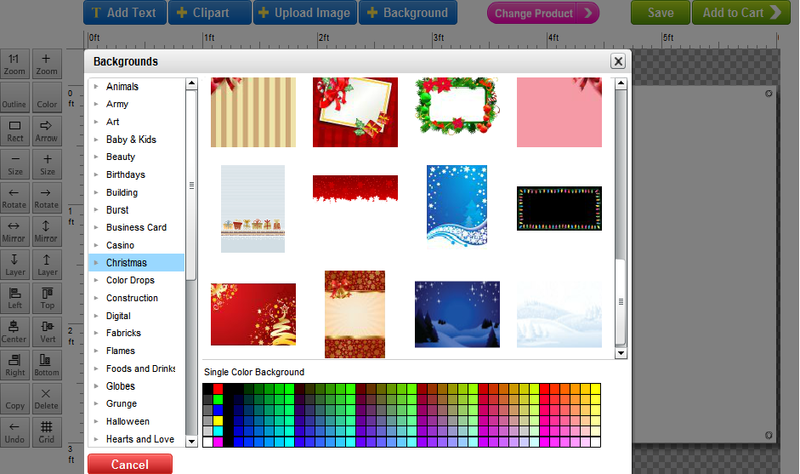 Plus, you can customize a banner by uploading a photo of yours! There are several different sizes to chose from. And, should you need a banner stand – Esigns sells those too. Using their designer/editor, I was able to add clipart – placing it wherever I wished to. Their collection of clipart is extensive. 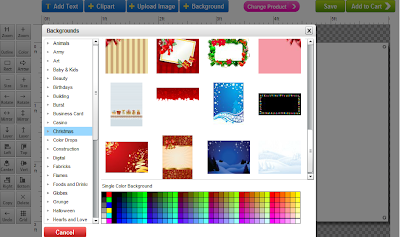 In addition, I could change the colors on parts of the clipart as well as the entire image. Customizing the text ranged from being able to change the font, to the colors of the text, to outlining the lettering and location, and angling of the text. Since I wasn’t able to finish my banner in one sitting, I created an account and saved my project, which allowed me to sign back in and pick up right where I left off. Once I was satisfied with my design, I placed my order and anxiously waited for its arrival. The package arrived – much sooner than I expected! I was amazed as I unrolled it. I didn’t expect the banner to be made of such a good quality vinyl. It’s a lot thicker than I thought it would be. The vibrancy of the colors is stunning. There are three grommets along the top and three along the bottom for hanging purposes. I will tell you, the banner is so well constructed, that I am confident it will withstand New England winters if hung properly. Given where I will be hanging it, as an added measure, I may use some Velcro along the sides to secure it well from the NH wintry winds. Wondering about Esigns’ customer service? I had a question, and in less than 24 hours, I had a response in my inbox – now that’s customer service in my eyes! Businesses and individuals alike – I believe you’ll be very happy with any purchase you make at Esigns.com. Current Promotion: Use the Discount Code “pink-ribbon” and Esigns will donate 10% of your order total to help find a cure against breast cancer. *Disclaimer – for the purposes of this review, I received a 3’x 6′ banner. All opinions are my own.